What is common grace? What does it have to do with saving grace? 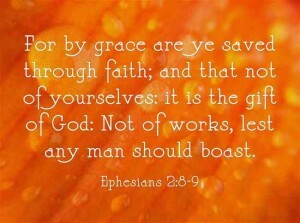 Common grace is that which is given to both sinners and saints. He sends His rain upon the just and the unjust. Many sinners are blessed with financial wealth or good health, while some Christians struggle with both. 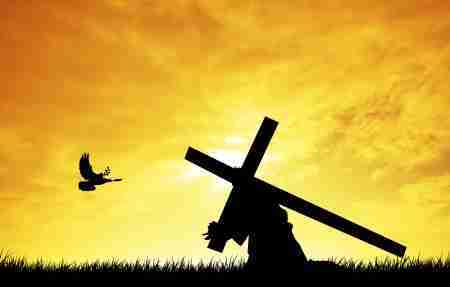 God gives His common grace to all, but only His saving grace to some, but whoever will come to Jesus, may come. Common grace could be thought of as the rainfall in our neighborhood. One man is very hostile toward the things of God, and if you try to mention Jesus’ name, he wants to hear none of it! Even so, the man who hates God receives the same amount of rainfall on his garden as does the couple next door who are believers. Neither the sinner nor the saint merited God’s good grace by His sending the rain, but He sends this rain upon the just and the unjust anyway. That is God’s common grace. The sinner enjoys the sunny days just as much as the Christian does, therefore, the sunshine is given by God to all…it is His common grace. The difference being, the Christian acknowledges the Source of the sunlight. The sinner just enjoys it. Jesus said that God “makes his sun rise on the evil and on the good, and sends rain on the just and on the unjust” (Matt 5:45b). That is common grace. Not only is God good to sinners by offering to receive them through Jesus’ shed blood, He is generous even to those who reject Him. The psalmist wrote, “The Lord is good to all; he has compassion on all he has made” (Psalm 145:9), and that includes those on death row. We must remember that God is “longsuffering” toward sinners (as He was with us), even those He doesn’t save (Nahum 1:3). God was even generous with a pagan king, warning him of the deadly consequences of taking Abraham’s wife (even though it was unknown to him) (Gen 20:6). The Lord also used a godly, wise woman to intervene in David’s life to keep him from shedding blood…bloodshed he would have later regretted (1 Sam 25:26), so in God’s common grace, He restrains evil. God restrains evil by means of law enforcement (Rom 13), and by the Spirit of God Who restrains evil in the world, but also in the believer…convicting them of sin when they fall. Jesus told us that there would be tares growing alongside the wheat in the Parable of the Tares (or weeds, Matt 13:24-43), and by God’s grace, both the tares and the wheat are blessed. The tares receive the same rainfall or teaching that the Christian does, however, the tares will not grow and produce fruit. Many have heard the seed of God’s Word, and they may actually last for a while in the church, but “some fell on the rock, and as it grew up, it withered away, because it had no moisture” (Luke 8:6). The Apostle John says that they left the church because they were never really part of the church (1 John 2:19). When hard times came, and it tested their faith, they “withered away” and disappeared, but God gave them every opportunity to hear about His amazing grace. Tragically, they settled for the common grace that is found in the world…the pleasures of this world. They loved pleasure more than the Word of God (2 Tim 3:4). Even people in the world who never darken the doorsteps of a church have heard about Jesus. Most people know that He died on a cross, but their apathy towards Him show that they love the common grace more than saving grace. Strangely, many of who reject Jesus’ teachings still believe they are a good person and would “probably” go to heaven, even though we know that our works cannot save us. God will reject our works (Gal 3) because Jesus has said, “It is finished” (John 19:30), effectively meaning, “All that God has required is completed, so it is ‘paid in full.’” I love to remind people that no one will “probably” go to heaven by their good works, because it takes the very righteousness of Christ (2 Cor 5:21). They would argue, “I’m a pretty good person,” but none are good and none even seek after God (Rom 3:10-12). Every human being ever born (except for Christ, Who was God and Man), falls infinitely or impossibly short of God’s glory (Rom 3:23), so I tell them, “You couldn’t do enough good works in a billion lifetimes to save only yourself.” There is a place for works…works which God foreordains for us to do (Eph 2:10), but those works don’t save us. Being a “really good person” won’t cut it in the Kingdom. There is extreme vetting to enter heaven. It must be the righteousness of Christ…or you won’t get in. There is enough evidence in creation to reveal that there must be a God, but even here, unbelievers reject this, and they go so far as to suppress the knowledge of God (Rom 1:19-22). Many have probably heard the Spirit’s voice, but they have hardened their hearts and suppressed His voice. That is why the Apostle Paul pleads with the Corinthians that “in a favorable time I listened to you, and in a day of salvation I have helped you. Behold, now is the favorable time; behold, now is the day of salvation” (2 Cor 6:2). Notice it says that today or “now is the day of salvation.” Today it is “a favorable time” where God will listen to you, but wait too long, and you die, then it’s too late because your judgment comes after death (Heb 9:27). Even if you reject the gospel in this life, and Christ were to return in your lifetime, then you’d still be judged by Christ. If you have not trusted in Christ, Jesus will not find your name in the Book of Life (Rev 20:12-15), and it will be a resurrection or judgment of eternal shame and damnation (Dan 12:2-3), but “those who are wise shall shine like the brightness of the sky above; and those who turn many to righteousness, like the stars forever and ever” (Dan 12:3). There are only two kinds of people…the saints and the “aint’s.” Which are you? 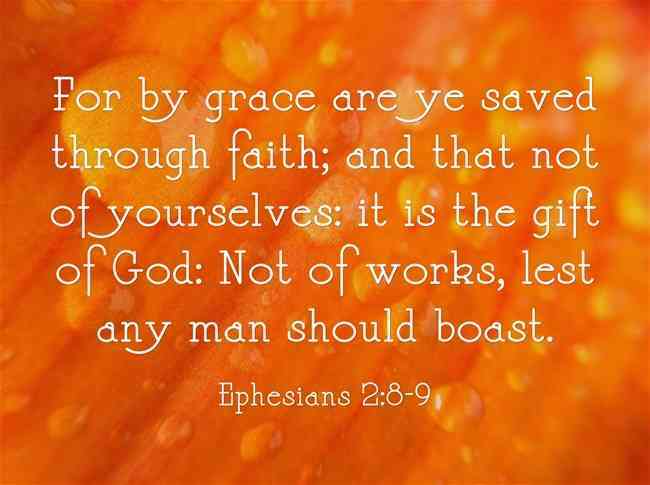 Here is some related reading for you: What Does it Mean to be Saved by Grace? Previous post: Is Apostolic Succession Biblical?